Former neurosurgeon and ophthalmic surgeon Dr. Guy Wood-Gush, CEO of Deontics, welcomes positive moves to bring digital health into the frontline of care delivery, but fears the NHS may get left behind if it does not make its data work harder. Digital transformation is rife across many markets. Retailers are exploiting huge amounts of data to deliver omnichannel customer experiences that are driving significant profits. Banks are recognising the potential of ‘fintech’ and are assimilating innovations such as blockchain to optimise their clicks and mortar operations. Governments are pressing ahead with digital by default strategies that prioritise customer self-service. In health, similar transformation is underway. Doctors and care givers can come direct to your home using ‘Uber’-style apps. Patients and practitioners are engaging directly online and providing data that informs clinical research. Artificial intelligence and machine learning are developing at such a rate that the traditional face-to-face doctor-patient relationship is likely to change significantly in the next few years. Yet despite the NHS’ strong history of innovation, it remains behind the times in terms of technology adoption, with pockets of development in evidence. The focus is on steady, linear development that will see hospitals prioritised for digital investment as recommended by US digital doctor Bob Wachter. Initiatives such as the Accelerated Access Review (AAR) and the Innovation and Technology (‘medtech’) tariff look to champion innovations that can make a difference to the patient experience. 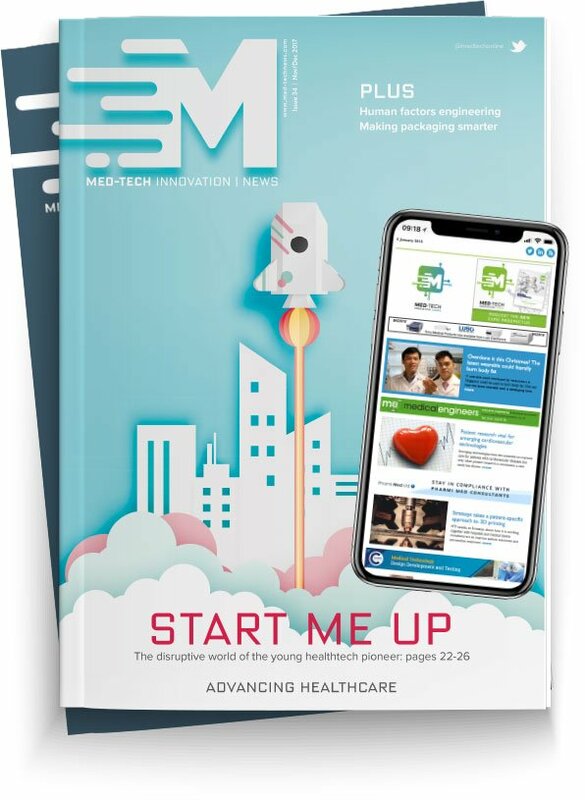 This will be welcomed by SMEs and digital health providers looking to work with the NHS, especially given that, as former Life Sciences Minister George Freeman MP previously acknowledged, the NHS is slow to adopt new innovations developed outside the system. Take the new medtech tariff. This should accelerate uptake of new MedTech devices and apps for patients with diabetes, heart conditions, asthma, sleep disorders, and other chronic health conditions, and many other areas. By being accepted onto the tariff, it provides an opportunity for innovators to obtain the much-needed credibility around their health technology products or services and make them attractive to health providers. It can also shorten the often lengthy procurement process that is associated with technology adoption within hospitals and other care settings. But the gap from policy to frontline practice is huge. I’ve been working as an entrepreneur bringing new medical innovations to market for over ten years. For innovation adoption, in my experience the two main barriers are money, and people’s time. Money is a bigger challenge in the NHS given the current financial crisis. It is of course vital that taxpayers’ money is spent wisely. However, many ‘spend to save’ projects can fall by the wayside when immediate pressures come to bear. But time is also another important consideration. Decision makers in hospitals are busy, quite rightly, managing a fast-paced organisation that is dedicated to saving lives. Will innovation be top of the priority list for medical directors, CCIOs, finance directors, or even the heads of technology, when dealing with day-to-day or month-by-month pressures? And when they do get the time to look at the innovations that are impacting health care delivery, will the customers – citizens such as you and me – have already voted with their feet, and be using apps to manage their health in the way they are used to with their finances? The resource and attention a busy hospital needs to run efficiently and safely is very intensive, and therefore it can be difficult to invest time in new IT projects. But problems that exist at the moment, such as variation in quality of care and outcomes, highlighted in the Carter Report, can be addressed by new technology. It is an issue that few consumers, faced with a plethora of choices on digital health, may care about unless health providers embrace the use of technology that meets the needs of the patient, the professional, and the health and care economy as a whole. Financial drivers can have a marked impact on efficiency of care delivery. Healthcare markets that are more financially-driven, such as the US, are much more amenable to new technologies if that technology can meet patient needs and reduce cost. In addition, in the US there is huge pressure from payers to reduce costs, which is a very powerful dynamic. Everyone in the NHS is trying to save money, but it’s a bit more of a coherent force in the US. This is aided by the HITECH Act which takes on positive and negative incentives to adopt new technologies. The overall US market is set up very differently from the NHS, but there are clear lessons to be learned. The emphasis on making efficiencies focuses hospitals to think creatively about how to meet patient need and reduce cost – not improving one at the detriment of the other. Clinicians and support staff should be able to access 21st century tools to work smarter, quicker and safer to meet these inclusive goals. And these should be the measures central to achieving digital maturity that is rightly rewarded and celebrated in the NHS. It is time go beyond just having the basics in place. We need to think now about what we want to achieve with health technology. Chief among those basics is the focus is on delivering electronic patient records (EPRs). But once these are in place, what do we do with them? The danger is that, without thinking ahead about what they enable, we introduce yet another system for hard-pressed healthcare professionals to have to contend with. Meanwhile patients who are managing their own health records get frustrated when they interact with healthcare settings that seem antiquated in comparison. Clinical decision support systems (CDSS) are one area that can be enabled by the sensible application of healthcare data and information, which to some extent can be realised through EPRs. The Government’s policy paper, Personalised health and care 2020, outlines the need to explore the potential for CDSS and the opportunity they present for “faster, more accurate diagnosis, patient safety, empowerment and experience, and to transform how remote channels can be used to deliver care”. However, it is also important to understand that CDSS can potentially be implemented quickly in advance of a lengthy EPR procurement and deployment cycle, which may be as long as four years to full implementation. This can allow clinical and cost gains to be realised quickly during this period. This opportunity exists now. Fifty-five per cent of NHS trusts responding to the digital maturity self-evaluation agreed that “digital results are held in a structured format to enable clinical decision support”. However, only eighteen percent agreed with the statement that “digital systems provide automatic prompts for the next action required by multi-step care plans, pathways and protocols” – something that the latest generations of CDSS do with ease, and directly as part of clinical workflow. CDSS can take data and information and use it to create better outcomes and save money. We’ve made a conservative estimate that our technology can generate a return on investment of several hundred per cent over five years with a payback of less than one year. So, whilst there is a period of uncertainty following Britain’s decision to leave the EU, let us hope that the projected investment in healthcare technology does come to pass. Investment in technology and change management must continue to help reduce the projected NHS deficit by 2020, and address the errors currently costing more than £1bn in medico-legal costs each year. The medtech tariff and AAR are good signs; but such signs need to grow to realise the positive impact they can deliver. Digital disruptors are putting the patient at the centre of care. The NHS needs to take heed if it is to reap the benefits of digital health, and help sustain the NHS in these straitened times.